I spent a lot of time exploring caves during my trip to Cappadocia, a fascinating region in central Turkey. People have been living in caves there for thousands of years. 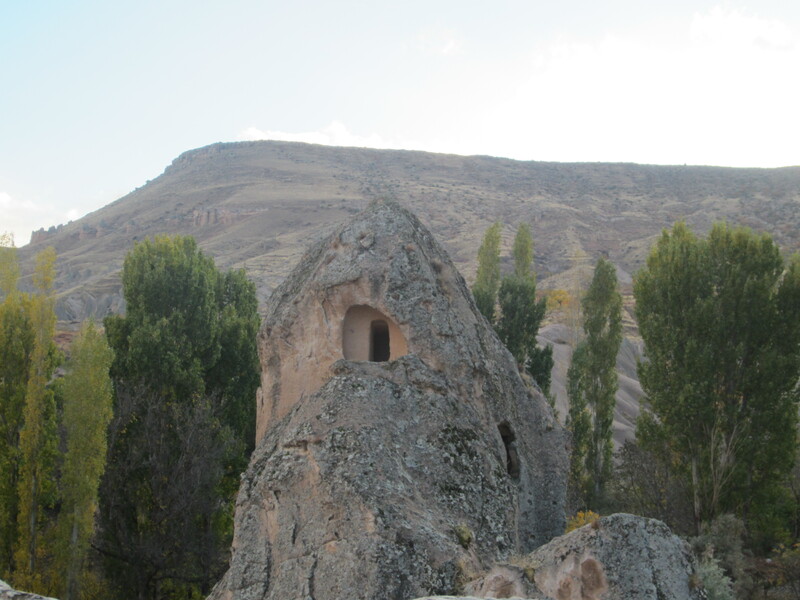 They carved everything out of the rock: monasteries, underground cities, stables, workshops, and of course, homes. 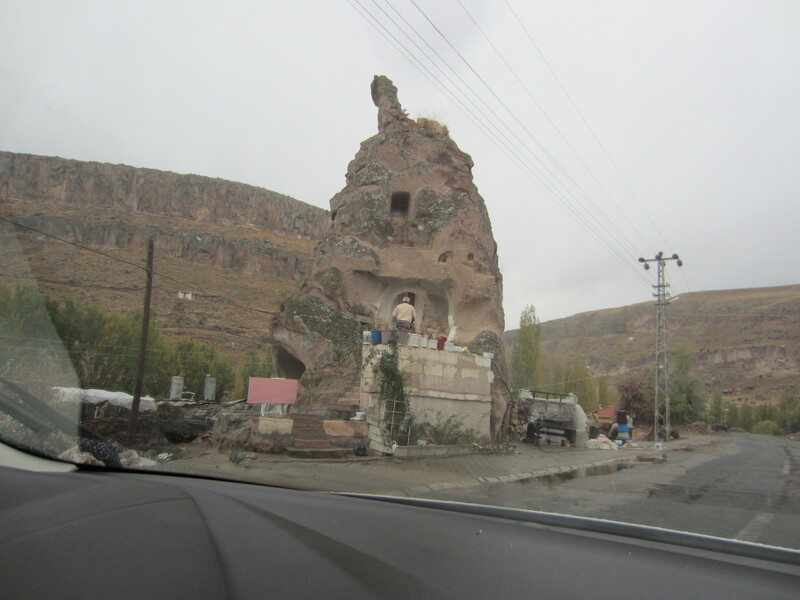 I wanted to get the full cave experience, so I stayed in a cave hotel in Göreme for three nights. Based on my experience, here are the top 6 reasons for living a troglodyte existence. 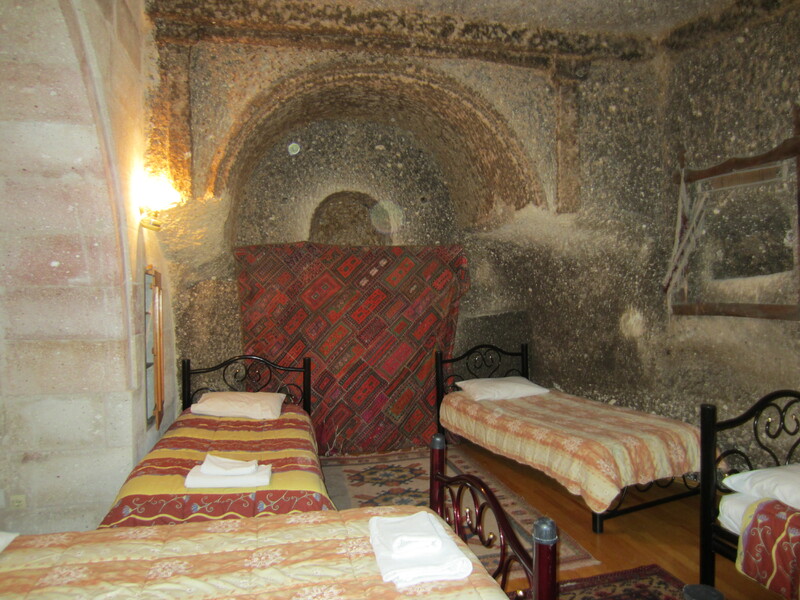 Our cave hotel room in Cappadocia, Turkey. 1. You can tell people you lived in a cave! This is an automatic conversation starter, and people seem to find it very impressive — probably because they picture you living underground, without electricity, and surrounded by bats. As you can see from the picture above, it’s not like that at all. 2. You have no idea how old your room is. A cave carved out yesterday looks pretty much the same as a cave carved several centuries ago. Let your imagination run wild as you think about the room’s past inhabitants and uses. A cave room in an ancient monastery complex. 4. A cave stays cool in the summer, warm in the winter (relatively). We were still freezing in our cave in November. 5. Get in touch with your caveman roots. You’ll feel like you’ve stepped into the set of The Flintstones. A man stepping into his cave house. 6. Feel like you’re roughing it without the roughness. A lot of cave hotels are actually quite luxurious, with all the amenities you would expect of a modern hotel. Have you ever stayed in a cave? What did you think?